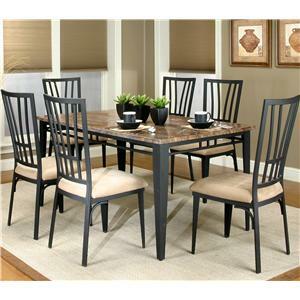 You'll be set for a comfortable and casual dining experience with this five-piece dinner set. 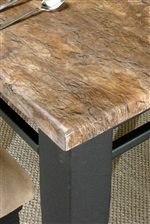 The rectangular table comes with black tapered legs and a faux brown marble table top with tan and gray tones. 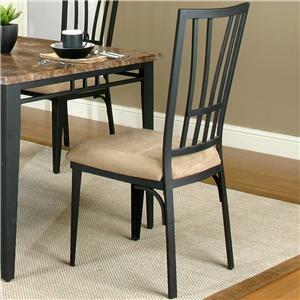 In addition, the matching side chairs feature flat black backs and cream-colored microsuede seats. 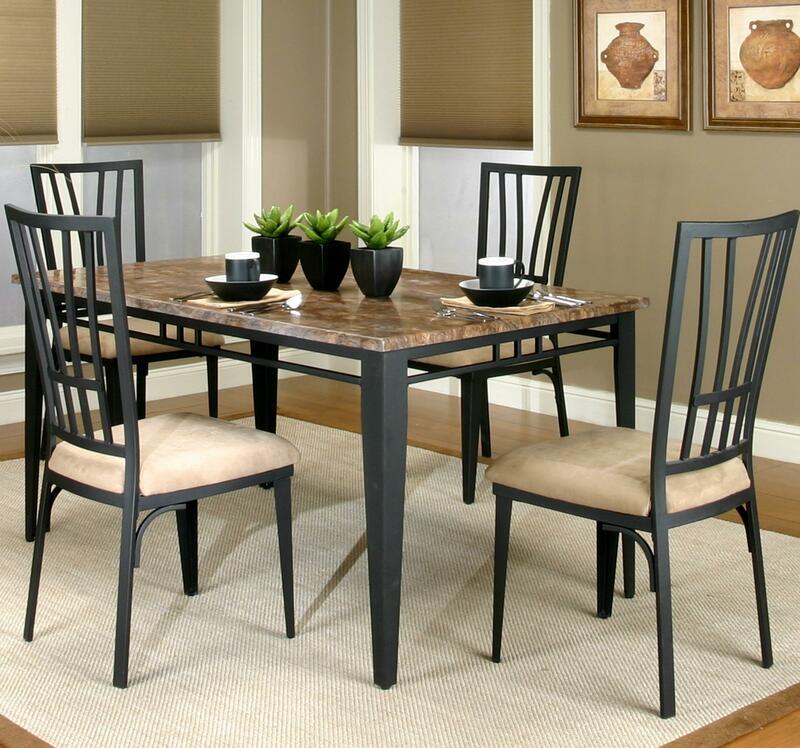 There will be plenty to be pleased about with this table and chair set integrated into your kitchen or dining room setting. 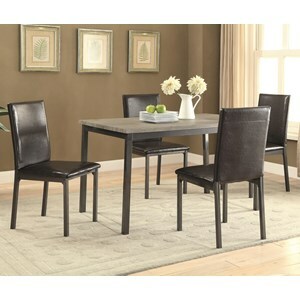 The Cramco Trading Company - Lingo Rectangular Table w/ 4 Side Chairs by Cramco, Inc at Value City Furniture in the New Jersey, NJ, Staten Island, Hoboken area. Product availability may vary. Contact us for the most current availability on this product. Make your home decor complete with help from the Lingo collection. 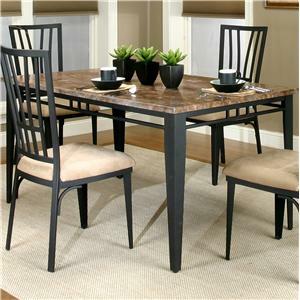 The table and chair sets feature tapered legs, ebony-colored frames, faux brown marble tops and upholstered chair seats, each characteristic establishes a casual quality while also being pleasing to the eye. Transform your kitchen or dining room into a warm and inviting area for friends and family with the Lingo collection. The Cramco Trading Company - Lingo collection is a great option if you are looking for Transitional furniture in the New Jersey, NJ, Staten Island, Hoboken area. Browse other items in the Cramco Trading Company - Lingo collection from Value City Furniture in the New Jersey, NJ, Staten Island, Hoboken area.